Month: March 2011 - ThirtySevenWest ThirtySevenWest - Creative ideas about personalized custom ribbons, woven tags and labels, personalized gifts and more!!! So, you have created this wonderful purse, clothing, baby item, blanket, quilt, prayer shawl, scarf, cooler, sachet, pet product or even wedding invitation or favor! Now you need a label to show the customers that YOU actually produced the product. 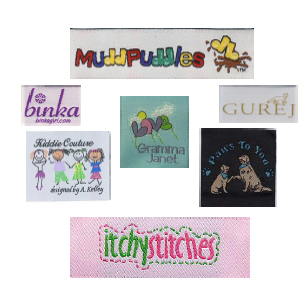 Your next step is to look for the company that makes custom woven labels. A company you can trust…a company that promises less and delivers more. There’s More! A cute and inexpensive way to go the extra mile! Nowadays, within the business world, competition among different industries is significant and increasing. To differentiate themselves, companies use their brand name on many products to remind customers about their business. 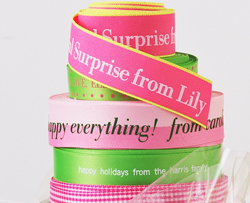 Just like companies do it, any individual can use personalized printed ribbons to offer gifts and remind their family or friends about what they really mean to them and how fun and pretty it is to make things special. There’s More!